Could you survive 76 days lost at sea in a life-raft? Steven Callahan did. In early 1992, author and former naval architect, Steven Callahan’s sailboat was damaged during a nighttime storm while on course for Antigua in the Caribbean Sea. He would come to believe he encountered a whale in the rough water, which irreparably damaged his boat. Although it didn’t sink right away, it took on water to the point where Callahan knew he couldn’t stay on board. With no help in sight, a life-raft was his only option. Because Steven Callahan’s boat sank at a slower rate, he was able to retrieve helpful items from the sailboat, including some food rations, a water purifier, and navigational tools. The food would only last for 2 weeks at most and the purifier didn’t work with the sea water. Fortunately, Callahan was able to rig up his own water collection system and had a regular supply of raw fish. Along with the loneliness and a decline in health, Callahan had to endure sharks, holes in his raft, weather, and several failed attempts at rescue. He was finally rescued by some fishermen off of the island coast of Marie Galante. There are so many reasons that Callahan should have died during his 76 days at sea but with quick thinking and by relying on his training, Callahan is alive and still sailing today. 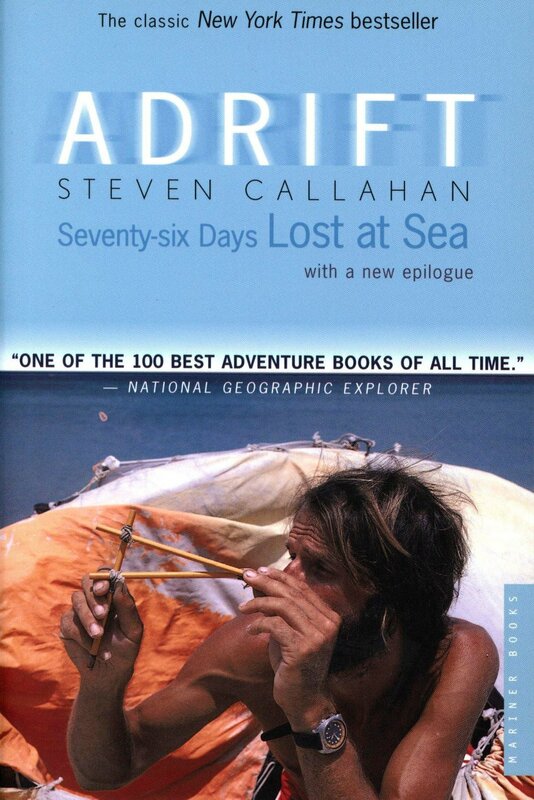 You can read his whole story in his 1986 memoir, Adrift: 76 Days Lost at Sea.